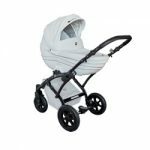 Browse the collection of prams developed by us and find out, which one is the best for your child. 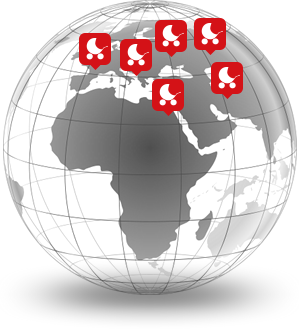 Learn more about their design and functionalities, and decide, which best suits your needs. We have been developing new collections and models for more than forty years, with passion and commitment, paying attention to finest details and meeting the expectations of parents and their children. We are a family business. A child’s comfort, safety and healthy development are our highest values and main goals. We focus on continuous expansion. Cooperation with a partner in the Netherlands. Such an exceptional event would not be the same without Tutek exhibitors! We bought Grander Play pram in 2015. The extremely spacious and comfortable carry-cot with a cradle functionality was a perfect choice. The stroller is very well shaped, the folding hood is really large. 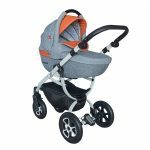 The pram looks very nice – we have chosen grey and red. It came with really useful accessories such as a zipped shopping basket. I honestly recommend Tutek Tambero pram. It is lightweight, meticulously finished and meets our expectations. We have used the carry-cot version so far. I really like the handle adjustment functionality and the deep hood of the carry-cot. The large, 5 kg shopping bag is also extremely useful. We have a Grand Plus pram. We use it regularly in the city and recommend it. The chassis is stable and we have no problems with it. The pram is very light and easy to use. Pram accessories are just as important as home fittings or car equipment.The umbrellas we offer are going to protect your child against light rain and intense sunlight and the sleeping bags guarantee comfort during every stroll.Transporting your child in a fully equipped pram means safety and a reflection of your utmost care.Do not let anything bother the most important passenger. Year after year we do our best to offer high quality products to our customers. We make every effort to ensure that the materials we choose are safe, durable and child-friendly and the production process remains under strict supervision to meet the highest standards and expectations. Such hard work has been appreciated not only by our customers. 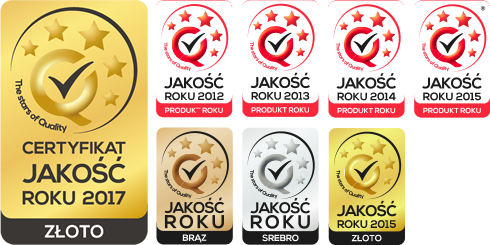 It has also been confirmed by the ‘Quality of the Year’ certificate we have been receiving for five years. Our prams and accessories are available throughout Poland. 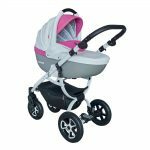 If you are interested in our offer, find out, which stores in your neighbourhood offer our prams. We are ready to help you find the store. All you need to do is ask us for help.